The Chasselas is cultivated with respect for nature and is produced on a limestone clay soil. It is characterised by distinctive fruity and harmonious floral notes that perfectly express the quintessence of the grape variety and soil. 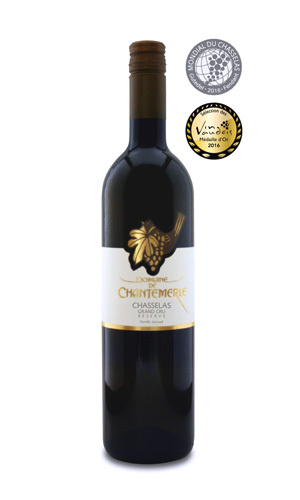 The Domaine de Chantemerle is located in the heart of the wine-growing region La Côte. Tartegnin village is 31 km from Geneva and 25 km from Lausanne. It is 2 km from the Rolle motorway exit. on Thursdays and Fridays from 5pm to 7pm and on Saturdays from 10am to 1pm.